​Chick-fil-A will serve as the Official Jersey Sponsor of Lionsbridge FC, the Virginia Peninsula’s new Premier Development League soccer team. The iconic script Chick-fil-A logo will be prominently located on the front of Lionsbridge FC team jerseys and Season Ticket Jerseys for fans, which are now on sale. Fans who purchase an authentic Chick-fil-A Season Ticket Jersey before December 27 will save 50% off in-season prices. The jersey is good for admittance to all Lionsbridge FC home games at CNU’s POMOCO Stadium, allows those wearing the home jersey to bypass the stadium ticket lines, in addition to displaying their pride and spirit for the Peninsula and Lionsbridge FC. Fans will receive their Season Ticket Jerseys during a Lionsbridge FC Preseason Celebration Event in April. In a continuing effort to truly make Lionsbridge FC the Peninsula’s team, fans are invited to vote for their favorite home jersey design on the team’s Facebook page. At halftime of every home Lionsbridge FC game, 50 kids will have a chance to take a penalty kick against the Chick-fil-A cow on the field at POMOCO Stadium. Chick-fil-A and Lionsbridge FC coaches and players will host a free youth soccer clinic, open to the entire Peninsula community. 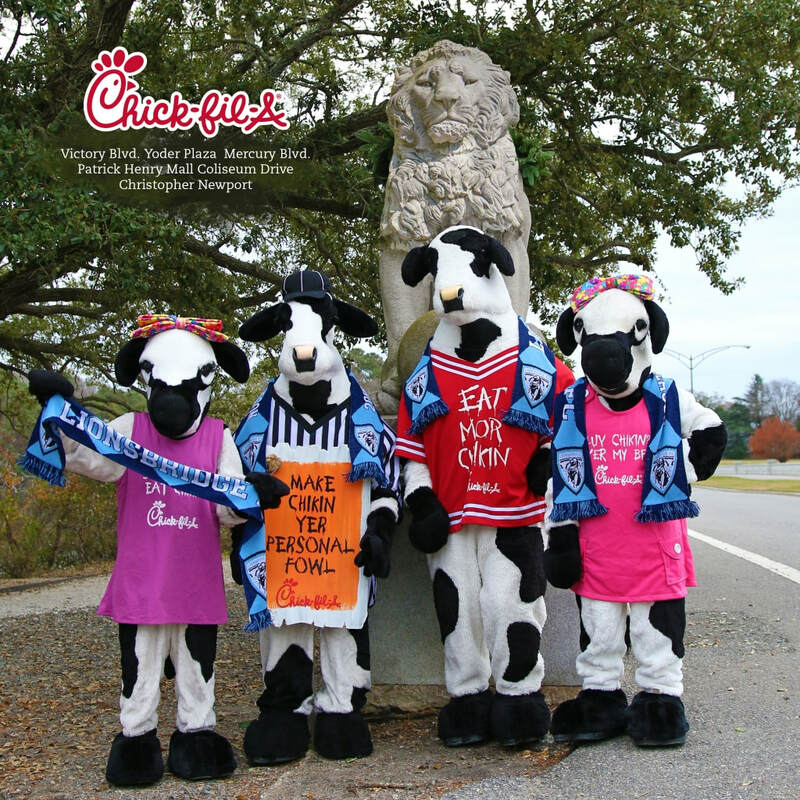 Chick-fil-A will also develop co-branded Lionsbridge FC and Chick-fil-A merchandise that will be available for purchase at participating Peninsula Chick-fil-A locations. 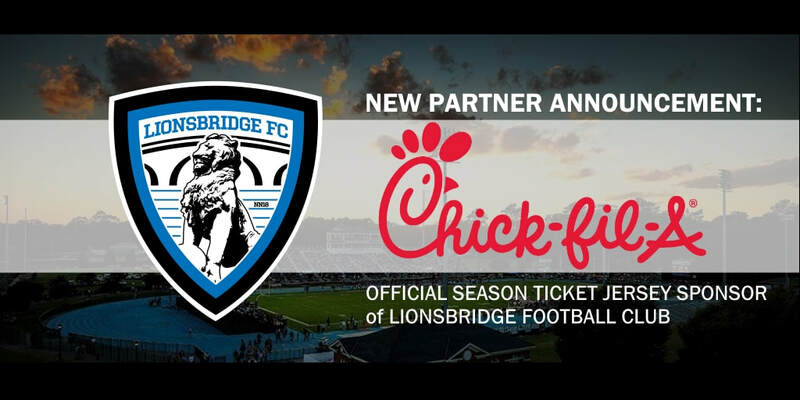 One home Lionsbridge FC game will be designated as a Chick-fil-A Family and Friends Night. This marks the second major partnership agreement for Lionsbridge FC, following the last week’s announcement with Riverside Regional Medical Center. Starting in May 2018, Lionsbridge FC will compete in the United Soccer League’s PDL, the top pre-professional league in North America. The PDL consists of more than 70 teams across the U.S. and Canada, functioning as Major League Soccer’s primary developmental and player showcase platform. Lionsbridge FC will play its home matches at POMOCO Stadium on the campus of NCAA Division III powerhouse Christopher Newport University. Each home game will be preceded by a two-hour pre-game community festival complete with a beer tent, food trucks, bounce houses, live music and family entertainment.